You can make your workplace much safer with the proper selection of fire safety signs. We offer a variety of signs that help businesses to comply with fire safety requirements, and comply with the current legislation. 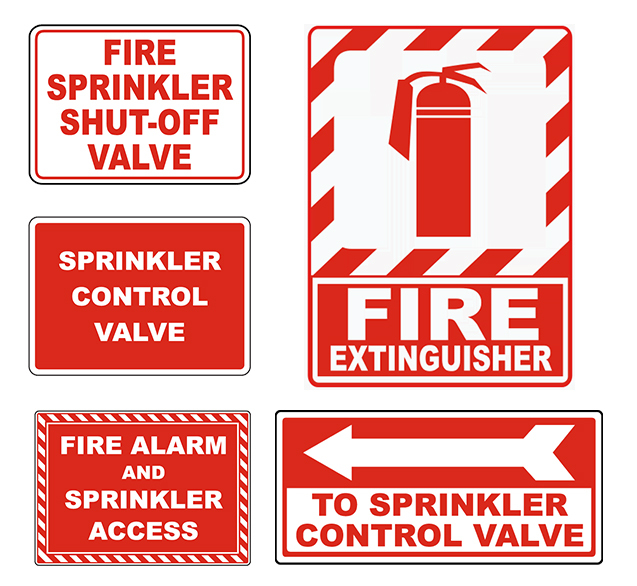 The following are some of the fire protection safety signages that we install and deliver. William Hird & Co, Inc. also offers customized signage that can be matched with the already existing signage of the organizations. Our experts will provide a survey of your business to help you make certain that the fire protection signs meet your requirements and expectations. Our easy-to-read signs offer fire safety and fire directions, which can make a significant contribution in keeping your premises safer.